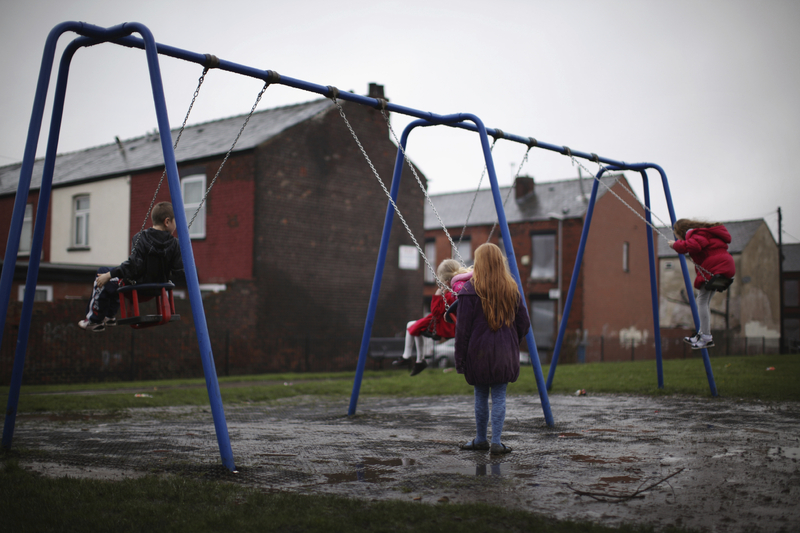 Young children spend the half term school holiday playing in a park in the Gorton area of Manchester on February 23, 2011 in Manchester, England. Charity ‘Save the Children’ today announced that up to 1.6 million children in the UK are living poverty with the Manchester area of Gorton and Tower Hamlets in London topping the survey at 27% of children in those areas living in poverty. The report highlighted one case in Gorton where 11 people lived in a two bedroomed terraced house, three adults and 8 children.